A pyramid scheme is an unsustainable business model that involves promising and participants’ payment or services, primarily for enrolling other people into the scheme, rather than supplying any real investment or sale of products or services the public. Like multilevel marketing, pyramid scheme depends on recruiting people to become distributors of a product or service. Like MLM, the pyramid scheme offers the opportunity to make money by signing up more recruits. Our MLM Forex Market Plan Script suits any type of MLM business concept. 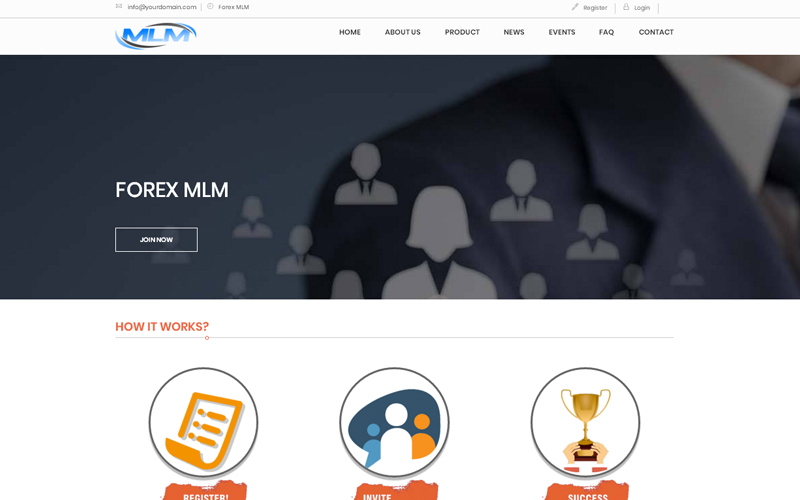 We design our MLM Forex Plan Software as perfect as possible, tested to be free of errors, easy to deploy, secure and with the maximum functions in a very user-friendly package. In addition, 8 years of experience we have developed the application; anyone can manage without any technical support with power administration. One on one customer support! I have to say EXCELLENT! Script seems to be very flexible and with enormous customization potential. 100% recommended this. These script functionalities are absolutely well thought out nice. I should be proud of your work. My advice is to keep this work in your future also.